One of the world’s most scenic drives. that’s the word that comes to my mind when I think of the Icefields Parkway. 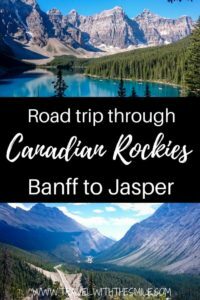 Driving from Banff to Jasper National Park. Road from Lake Louise to Jasper is probably the busiest road in Alberta during the season. 230 km long with stunning views of icefields and glaciers feeding lakes, waterfalls, mountains and wildlife. 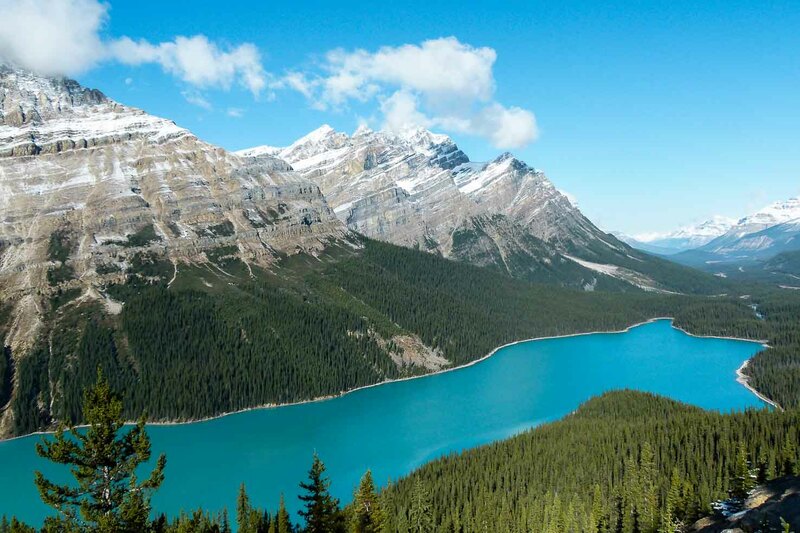 Peyto Lake in Canada – photoshopped or real? 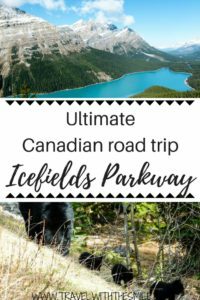 We’ve driven Icefields Parkway countless times and each time we stop at all of these places and are adding more. I would recommend driving 2 days to fully experience and enjoy it. If you’d like just snapping pictures along the way, one day is enough. The Icefields Parkway ends in Jasper national park where we usually stay at least 4 days. There are many hikes and biking trails in the area and it’s more spread out than in Banff National Park. Prepare to see so many shades of blue and green you’ve never seen before. This emerald lake is overlooked by Victoria Glacier. With historic Fairmont Chateau Lake Louise hotel, it is one of the most popular lake in Canadian Rockies. Kayaking and hiking during summer, ice skating and cross country skiing during winter, everyone can find a way to enjoy this place. The Icefields Parkway starts right after Lake Louise (heading north) at the junction with Trans-Canada Highway, which is leading to Yoho national park. 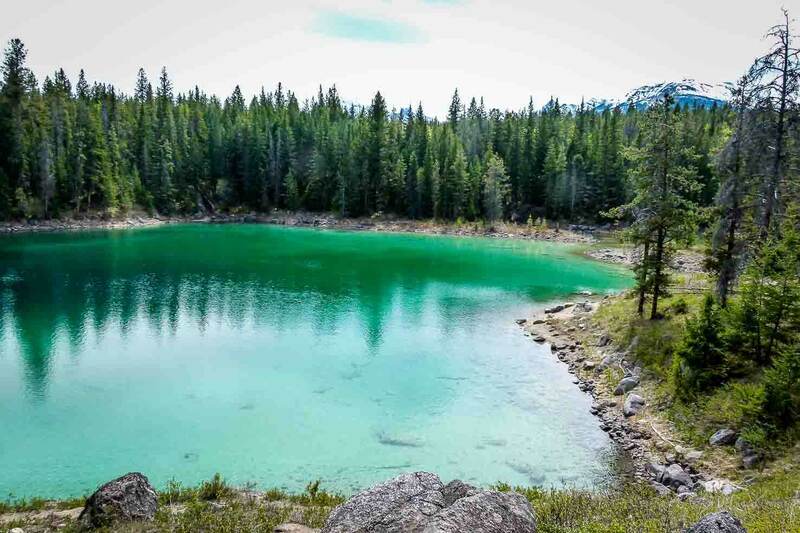 It’s one of the most photographed lake in Canada and only a few kilometers away from Lake Louise. Don’t miss this if you’re in the area. You can rent a canoe on the lake or bring your own stand up paddle board and enjoy the view. Due to its popularity it’s best visited early in the morning or later afternoon. The parking lot is full very soon so if you’re visiting during the day, you will need to go by shuttle. Bow Lake lies on the Bow River and it is often enjoyed by many people on kayaks. Views around the lake include Wapta Icefield, Bow Glacier and Crowfoot Glacier. 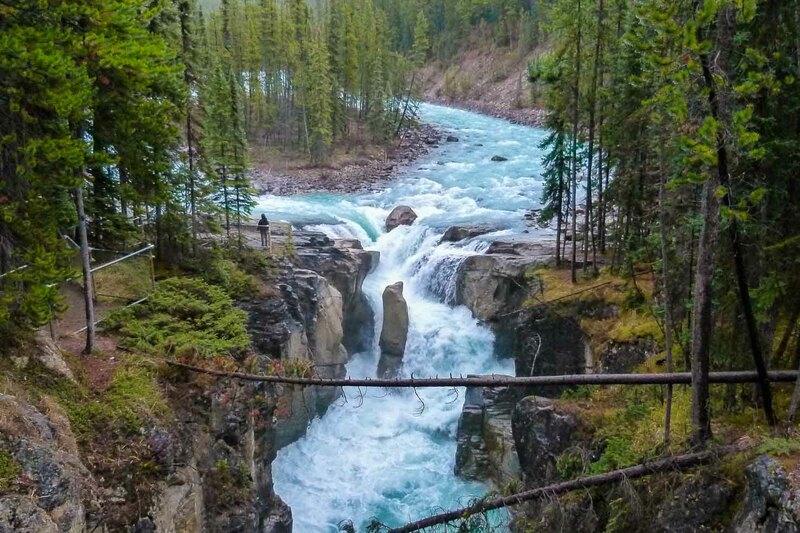 There is also a hike to the Bow Falls, around 10 km round trip. Follow the trail along the right side of the lake which leads to the falls and enjoy a tea and cake in the hut by the lake afterward. High above, the Wapta Icefield feeds the Peyto Glacier. And Peyto Glacier feeds Peyto Lake. When glacier is slightly melting in the summer, particles of the rocks flow into the lake and give the lake its unique turquoise colour. It is just a short walk from the parking lot to the lookout. There is no hiking trail maintained although you might be able to hike there, read this post for more into. 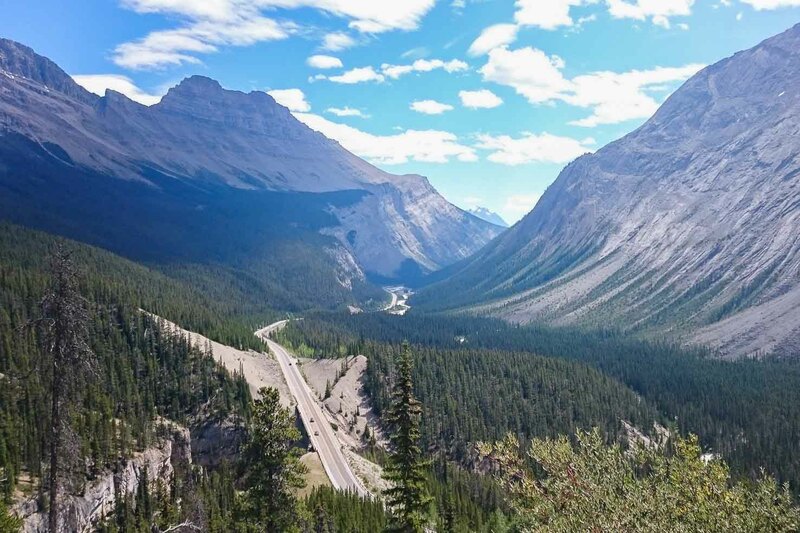 Important junction of Icefields Parkway and David Thompson Highway, which would lead you east to the city of Red Deer. If you have time, you can drive to Abraham Lake (especially beautiful during winter) and then return to Icefields Parkway. 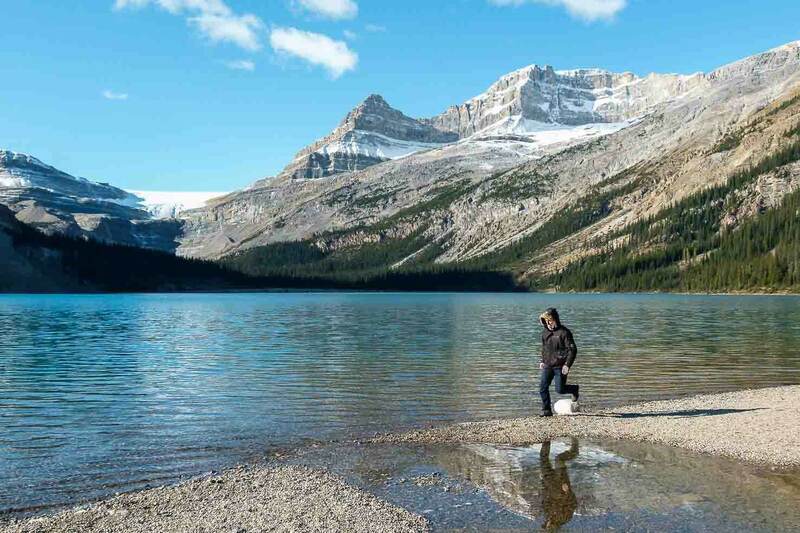 It is the only place between Lake Louise and Jasper, which offers restaurant and gas station. Stay away from both (if you can), they are very overpriced. Columbia Icefield is the largest ice field in the Rockies of North America. 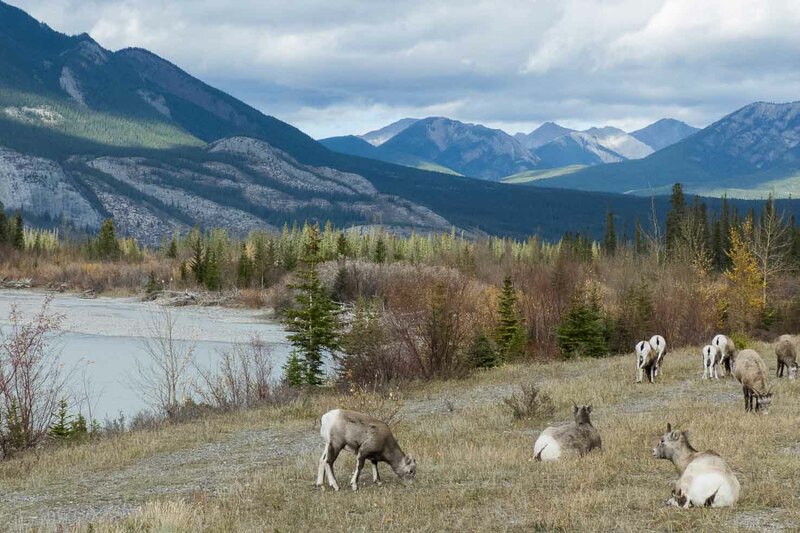 It lies on the Continental Divide and on the border of Alberta and British Columbia. When you see an icefield from the road, you are now in Jasper national park. 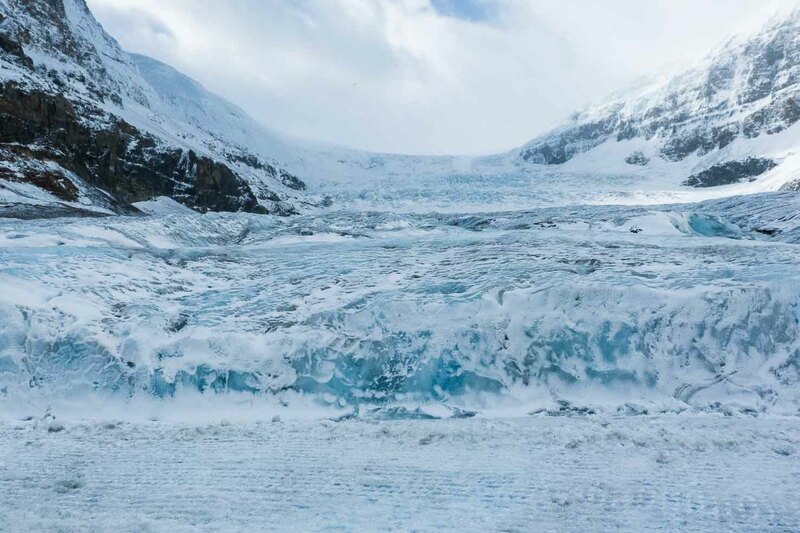 Columbia Icefield feeds 8 glaciers including Athabasca Glacier. 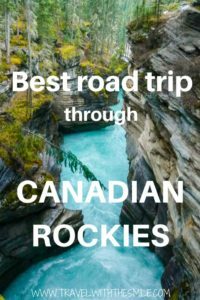 You can either buy a tour to the Athabasca Glacier or drive to the bottom of the glacier and explore a piece of it on your own. 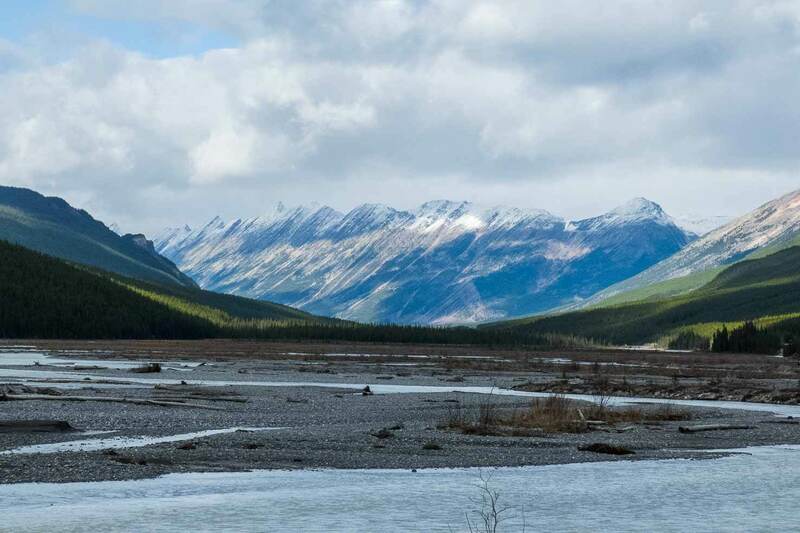 Every time we drive the Icefield Parkway, we discover a new viewpoint or hiking trail. This time it was a trail to Stanley Falls. After driving 17 km leaving Columbia Icefield, there is an unmarked parking on the right. It’s the beginning of the hike through Beauty Creek to Stanley Falls. Easy 4 km roundtrip trail leads through the flats into the canyon. We really needed to stretch our legs and decided to hike another 2 km to the end “marked” by triple waterfall. Trail is easy to follow but not marked, so read these instructions. Unlike other stops on the Icefields Parkway, we’ve only seen two people during the whole time. Easily accessible waterfalls from the highway with a drop of 18 meters. As the water comes from Athabasca Glacier, the waterfall is the strongest in the beginning of summer when glacier starts to melt down. 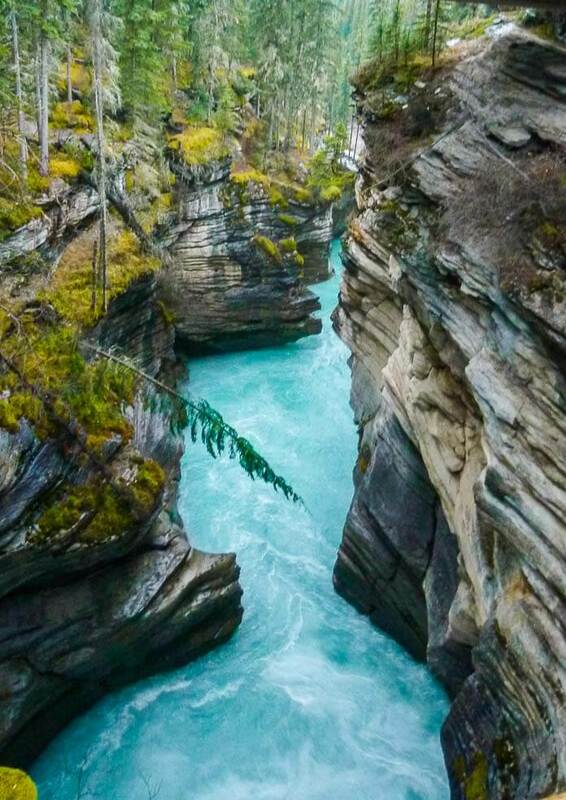 Athabasca falls have a drop of 24 metres. 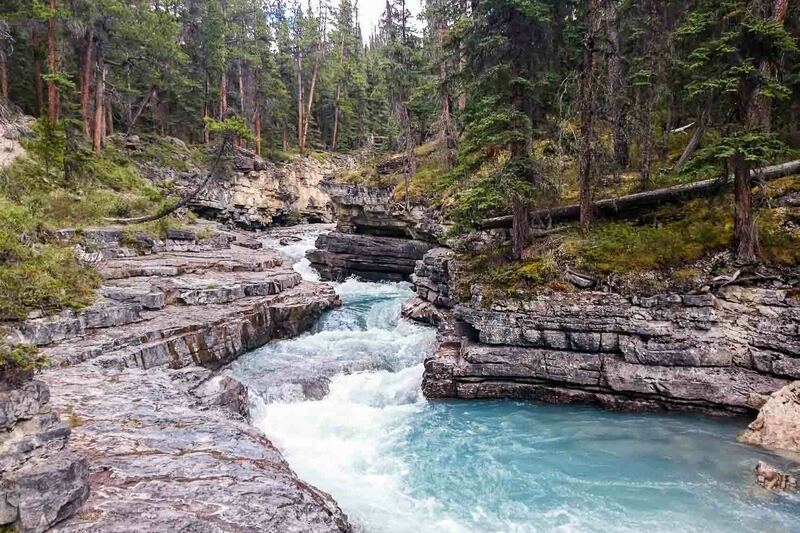 The very bottom part of the falls is a popular area for starting a white water rafting trip on the Athabasca River. As we were enjoying the view, we saw a black bear walking around across the river – near the parking lot. He looked hungry so we let him pass before getting back to the car. 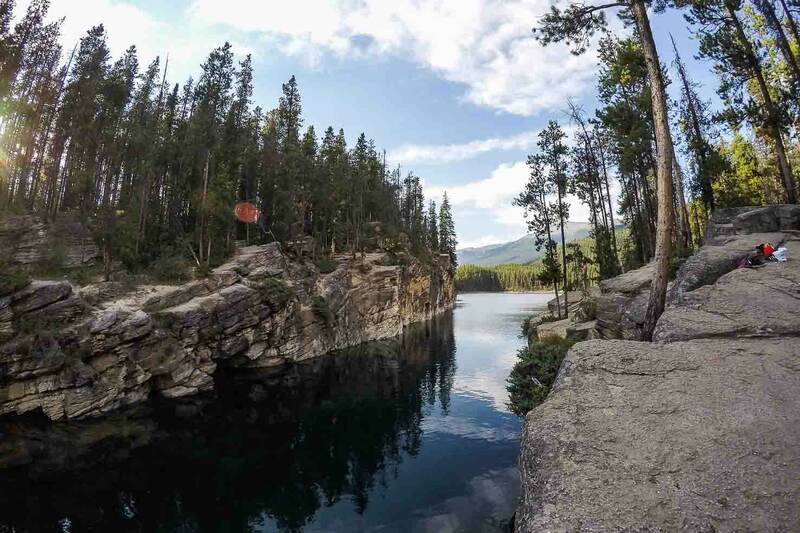 Our biggest win of the drive was discovering Horseshoe Lake just before reaching Jasper. Cliff diving paradise! Watch here how beautiful the lake is. It also offers few hiking trails along the lake but more importantly (at least for us) was a chance to finally cool off after the long ride. The water is crystal clear and very cold. Heights for jumping varies from 1 to 25 metres. 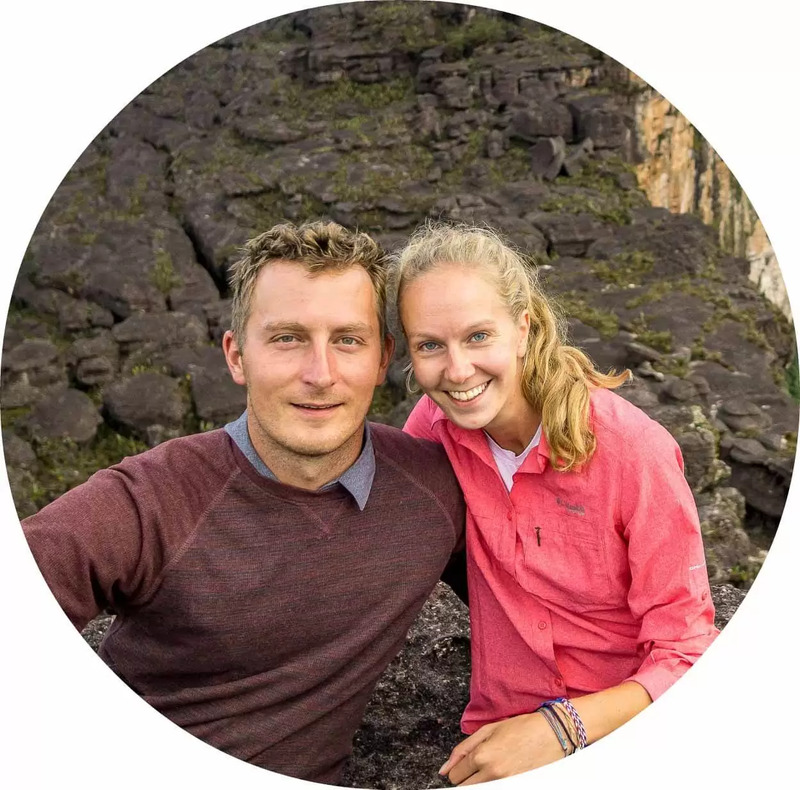 We enjoyed cliff diving a lot, but be aware that you have to know how to jump from heights and not just have the courage to do so. One guy injured his spine during our visit – he chose to jump from 15 metres as his first jump. Last stop before reaching Jasper was Valley of the Five Lakes. Five lakes of different size, shape and colour. Time spent here is up to you, but I’d recommend to have at least an hour. 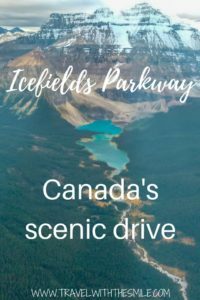 Would you like to drive The Icefields Parkway? What was the most scenic drive you’ve ever experienced? 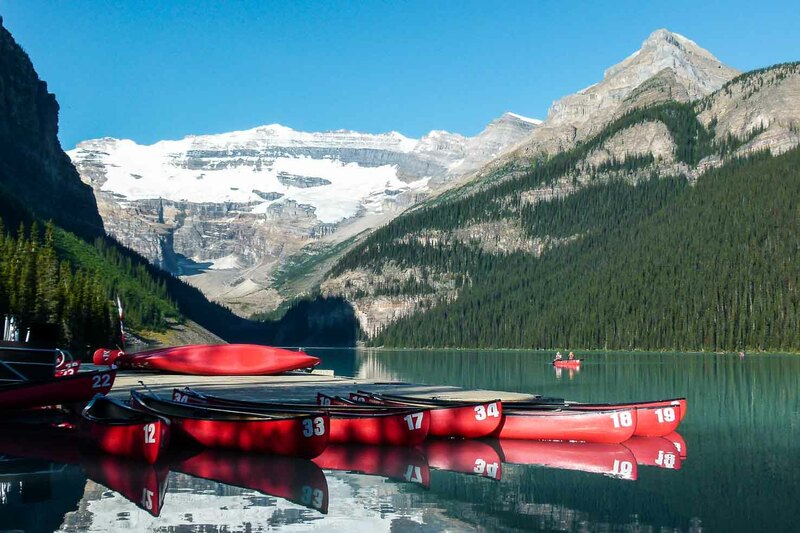 Lake Louise has to be one of the most beautiful locations in the world. It’s unmistakable. 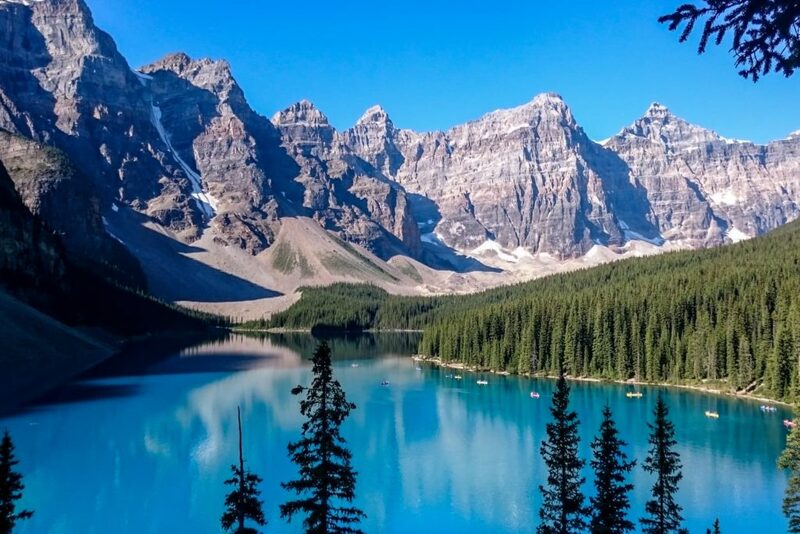 It is, together with Moraine Lake. Canada seriously rocks! I’ve never had interest in it and always took a pass when my mom would suggest we go there back when I was younger. When I finally go there, all I’m going to want is do all the beautiful hikes! Yeah, you won’t be disappointed! This is a dream trip for me! I’ve been dreaming about Banff, Jasper, and Lake Louise since 6th grade. Your photos are incredible! Been to BAnff, Lake Louise, and Jasper National Park. Drove through the Columbia Icefields Parkway, too. 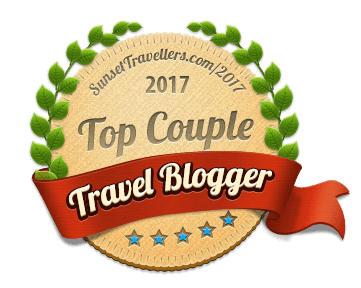 This is a must-see for all travelers! You have captured the essence of the area. wow, i have never had much of a desire to go to North America or any desire actually. Until now your pictures are stunning and this region looks amazing Bucketlist now. I have never been to Canada, actually. I think some of the most scenic drives I have ever done are here in Sardinia, actually – it just is gorgeous to drive along the coast, the views of the mountains that drop on the sea… are spectacular! I would love to do a roadtrip along the ocean coast..
Looks amazing. What time of the year did you do the drive? Do you think it’s accessible over winter? Or would there be too much snow/ice. I’m desperate to visit that part of Canada and I don’t think I can wait until Spring! Wow! These pictures are amazing! Those falls are incredible! We definitely need to make our way up north to visit these! Oh my gosh your pictures are so beautiful. I hadn’t considered a trip to Canada but your post is making me seriously reconsider! Lake Louise is amazing..every time we visit, it has a different colour. I’m sure you had a great time wherever you visited. Colours are unbelievable here. Different day and different colour again. Wow! that’s gorgeous! I am usually a warm weather/palm trees/beaches sort of person but the beauty of these places has me convinced to give cold weather in Canada a chance. But how do you get the glaciers then? sorry if that is a dumb question. Glaciers are made from the compressed snow in high altitudes. But in summer, you can have temperatures above zero, around +7C on glacier. And few kilometres from the glacier, in lower altitudes, you can have 20C. Oh man! This is killing me! So beautiful! Wow! 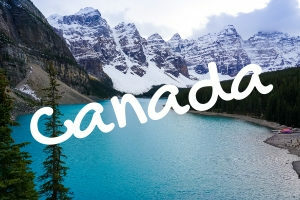 Canada looks so amazing from your photos! I must admit that i really really hate cold, but in this case I think I would manage. I would like to visit at least some of these places! Then it’s for you. Lakes are thawed when it’s really really warm already. Thanks Meg. But you found one too..I couldn’t stop looking at your pictures from Alaska. Ah amazing! This place just looks so so stunning, The colour of the water in some of your photos is unbelievable. Beautiful photos by the way! My first trip to Icefields, I locked my keys in my rental car at a glacier hike. Thank goodness someone had a coat hanger in their car. That is pretty old school, huh? I’d say you were pretty lucky 😉 These days you would need to call the rental office and wait a few hours probably for someone to come and open it. 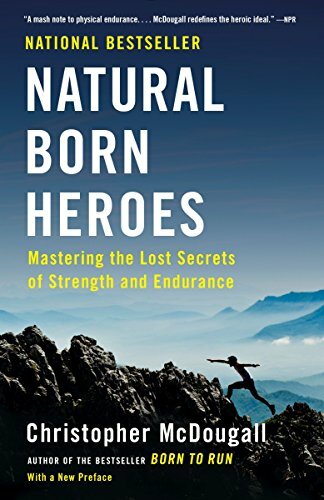 Book marking this! I’ll be in Vancouver in June and looking for things to do :). It’s quite a drive from Vancouver..I would recommend Vancouver Island as well! What a beautiful drive! I’ve been wanting to go to western Canada for some time. This is a great reference! Great! Your kids will love all the ground squirrels running around 🙂 Have fun! Hey, great pictures! We’ve been there in 2016. This country is so amazing.